In 2012 I completed the A to Z challenge on my family history blog, writing about the places that are/were important to my family over the years (recent and distant). 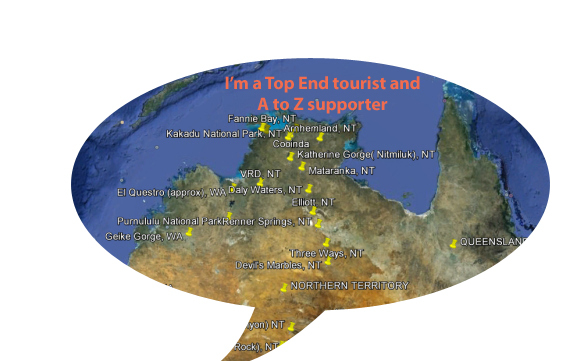 In 2013 I decided to write about Australia’s northern regions with all their diverse sites. Even Aussies find much of this area quite different, even exotic sometimes. My introductory post is the “road map” of my plan for the A2Z 2013. Each post had two parts: the first a focus on a particular place I’ve visited together with photos and the second part was a hopefully humorous look at Australian colloquialisms. 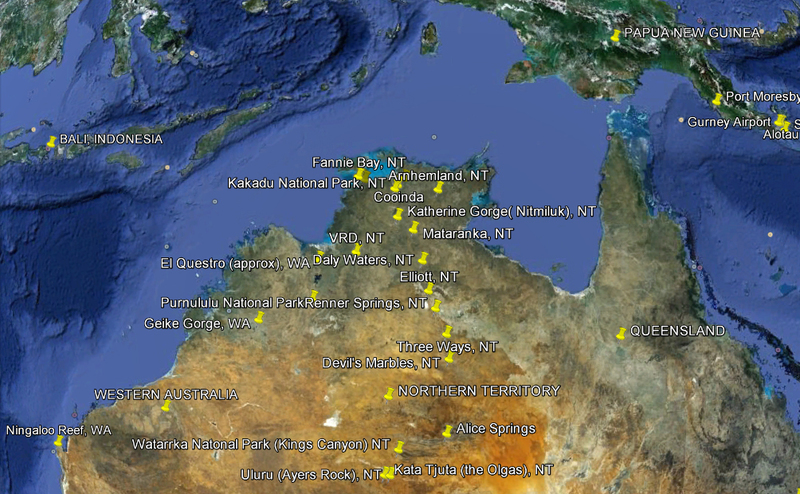 This map shows the places we visited, and each post is listed below. (Thanks to Pete Denton, Writer for the idea to add these links as a separate page). A huge thank you to all those readers who toured with me. Here’s your passport stamp.